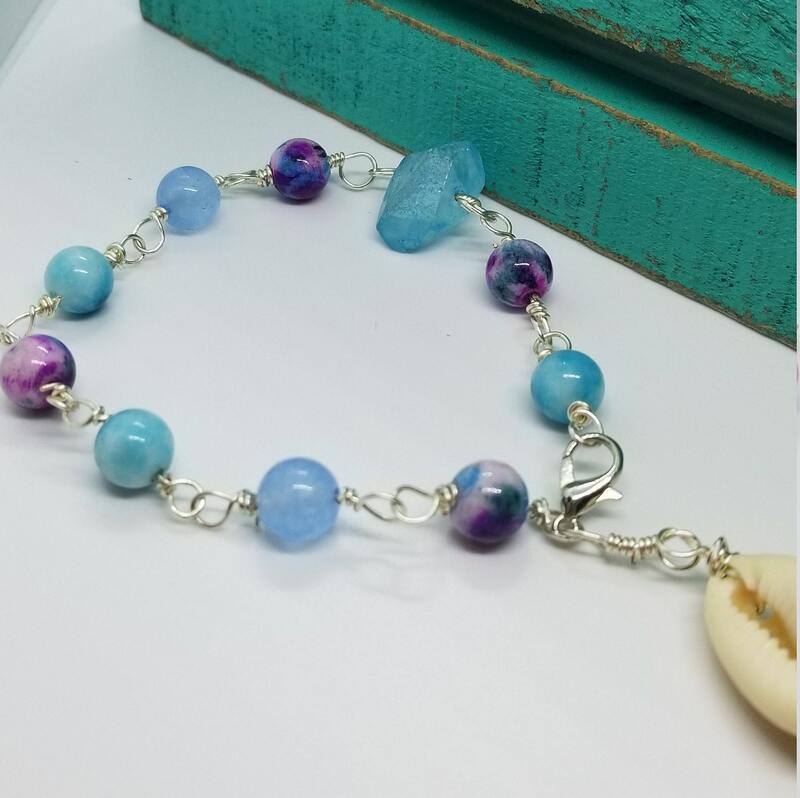 Made with the intent of love light and peace this bracelet will be Reiki Attuned before shipment. Dip your toes in the ocean and sit on the warm sand! 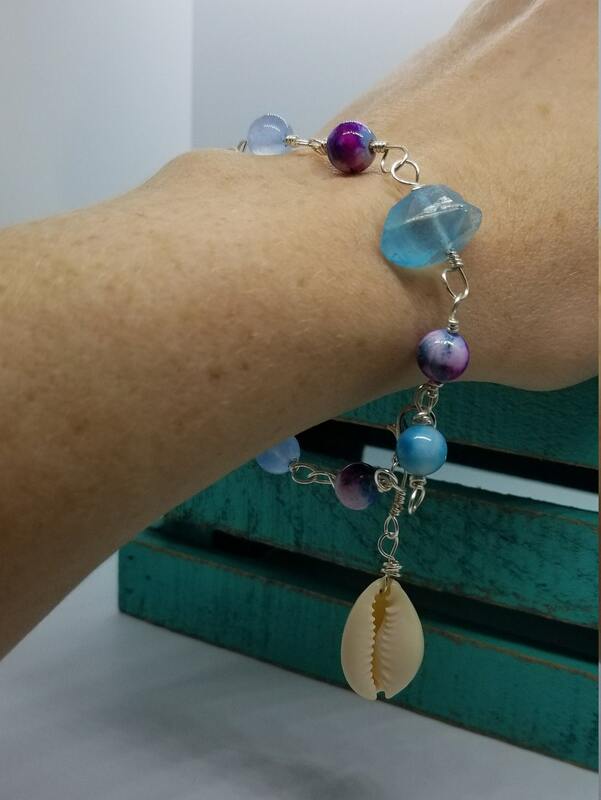 Ocean Mermaid inspired hand linked gemstone chain bracelet. 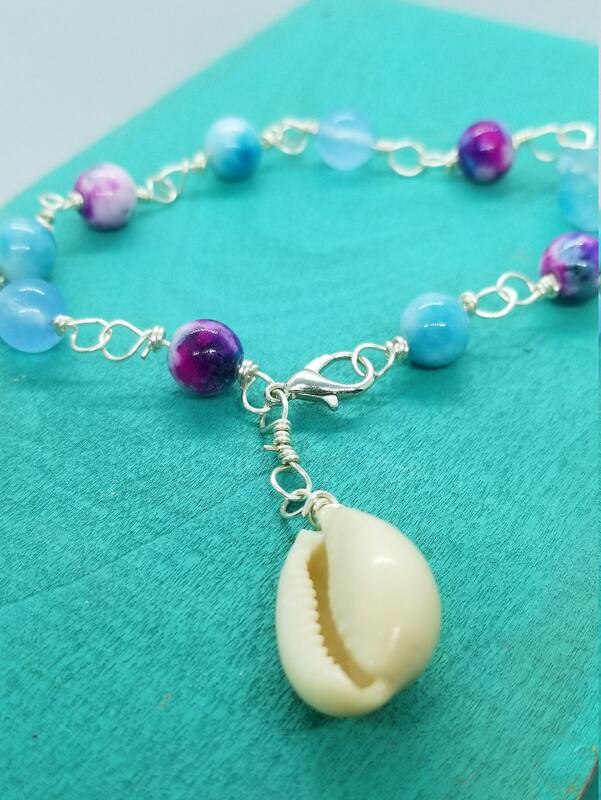 Length is adjusted, simply clamp were you feel is right and have the rest dangle with your Cowrie shell charm! 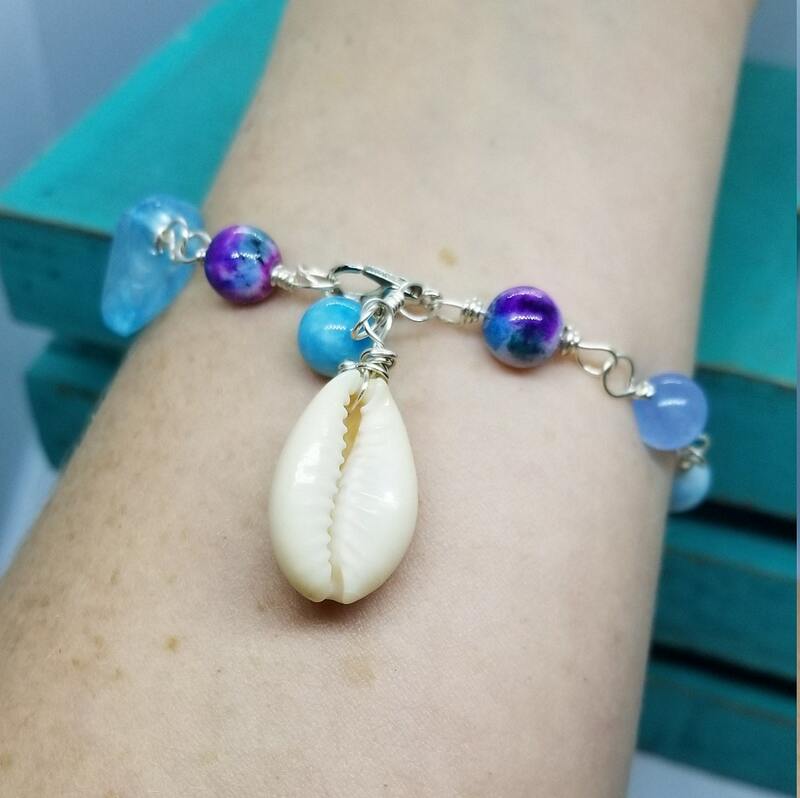 *can also be worn as an anklet! 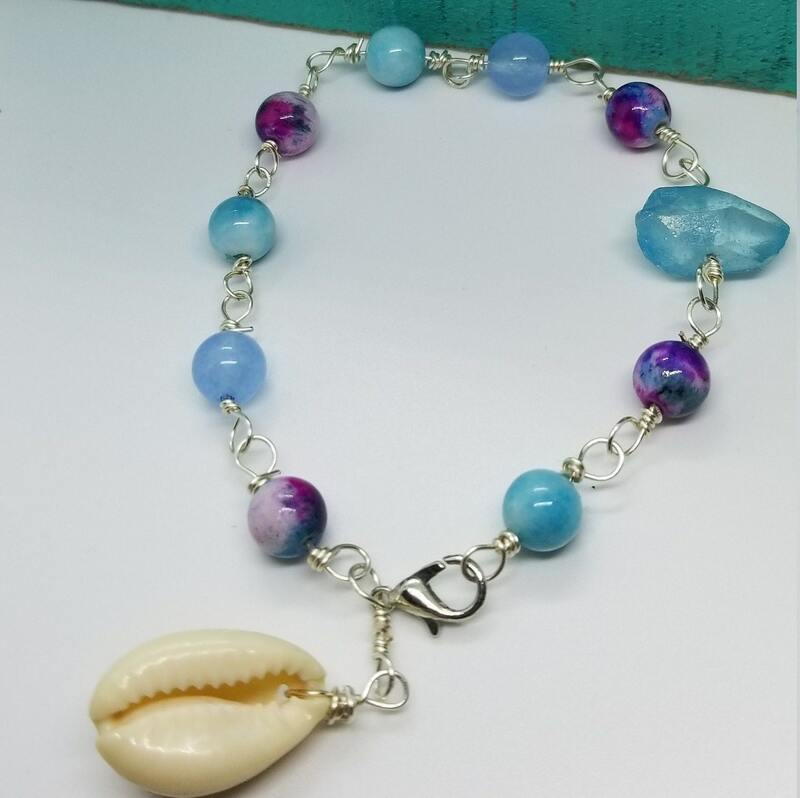 Blue Quartz supports the throat chakra as well as the thyroid. Enhancing communication and mental clarity it is a great self improvement stone! 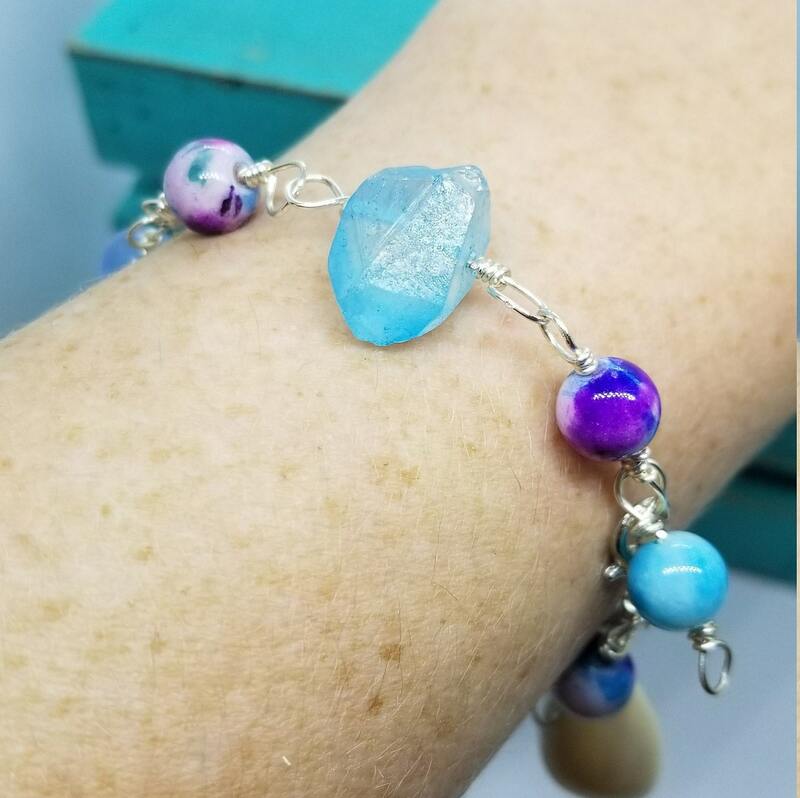 Blue Quartz also relieves tension and anxiety while improving focus and opening communication to the spirit world. Jade is said to bless what it touches. Providing good luck and tranquility it also dispels negative energy. Enhancing creativity and provided encouragement Jade is also used as a protection stone. Please note : I am not a health care professional, always seek care from a liscensed practitioner.